Happy holidays! It's hard to believe that Christmas is right around the corner. Like many, I found 2018 filled with great accomplishment, but also some serious challenges as well. Focusing on the positive, thanks to all who joined me for my series at the Egyptian Theatre on the HISTORY OF FASHION IN FILM. It was an incredible experience to do those seven events through the year, especially because we were able to screen films that were featured in each decade. Images from the series are shown below. 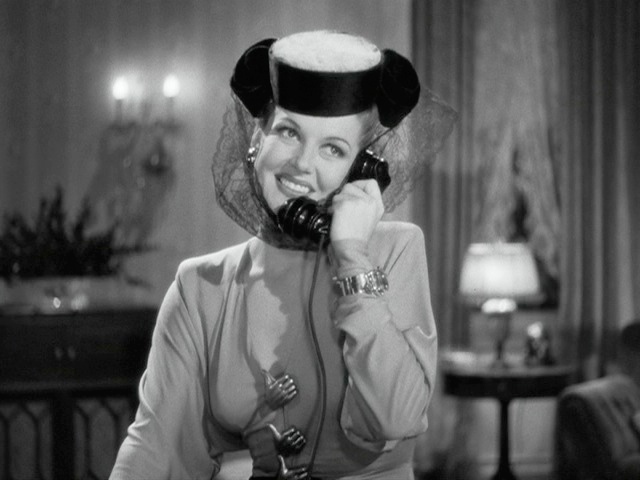 And my time at the Egyptian is far from over - looks like I'll be hosting a series on Pre-Code there in 2019. Stay tuned! I also finished filming my contributions to a CNN docu-series called American Style in 2018. 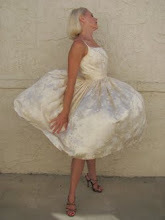 The talent associated with the production is huge - from Tim Gunn to Diane Von Furstenberg. Obviously, I was honored just to be included. The first two episodes are now scheduled to air back-to-back on Sunday, January 13. I haven't seen it yet, so I'm excited to watch the finished project. 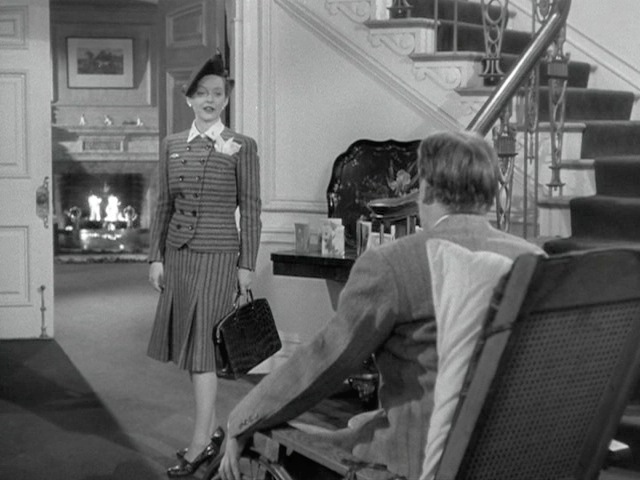 Also in 2019, I'll be back at The Woman's Club of Hollywood for my annual FASHION IN FILM OF TCMFF talk. 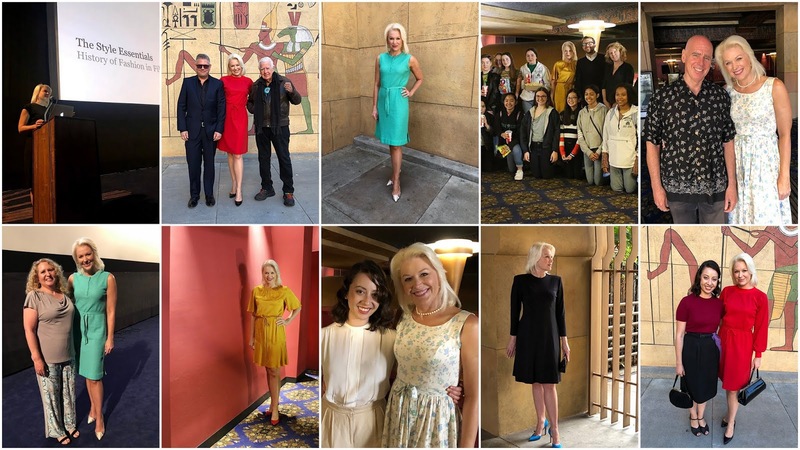 It's always fun to take a deeper look into the programming of the TCM Classic Film Festival through the stories behind the style. And count this one as a pleasant surprise. Ages ago, the Library of Congress reached out to me about contributing an essay in support of the National Film Registry. Well without my knowing, they posted one from me. 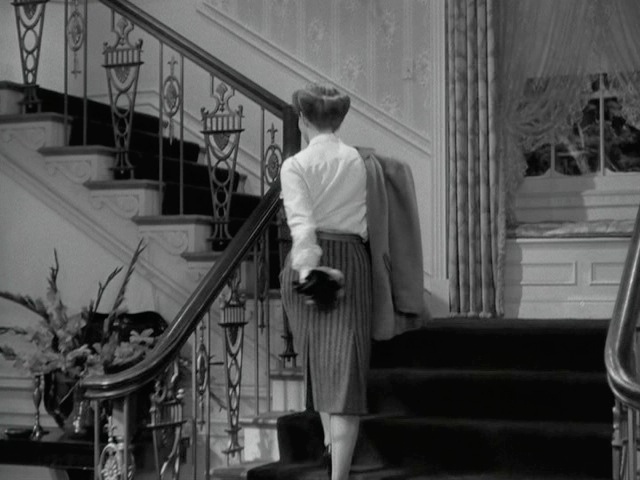 If you go to the LOC's List of Film Essays and scroll down to Gilda, you'll find an edited essay of mine on the film. 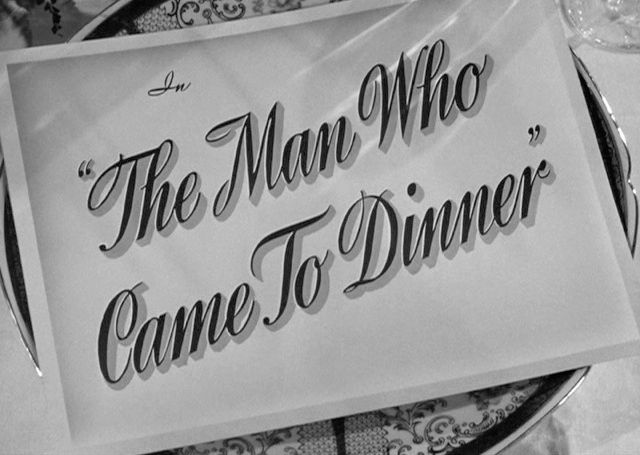 Things are still busy in closing out 2018, so I am sharing The Man Who Came to Dinner from the GlamAmor Archive below. 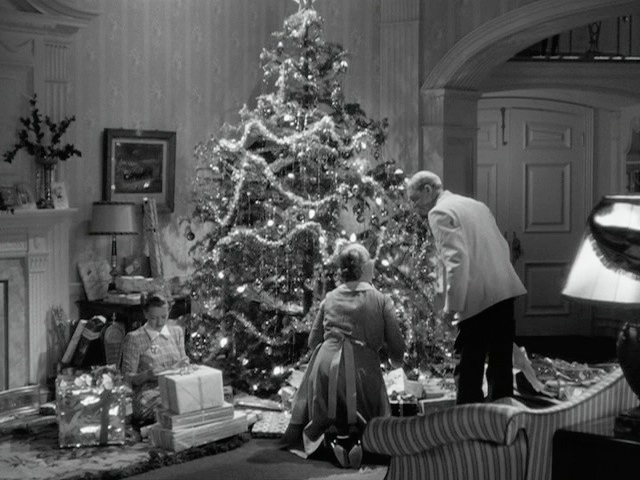 You can find even more Classic Holidays from years past on GlamAmor, such as It Happened on Fifth Avenue (1947) and the film noir Lady in the Lake (1947). 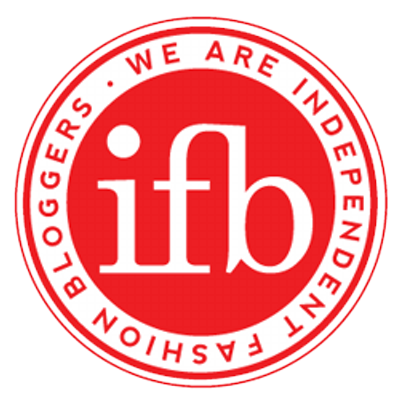 Thank you so much for your continued support - wishing you a very Merry Christmas and Happy New Year! 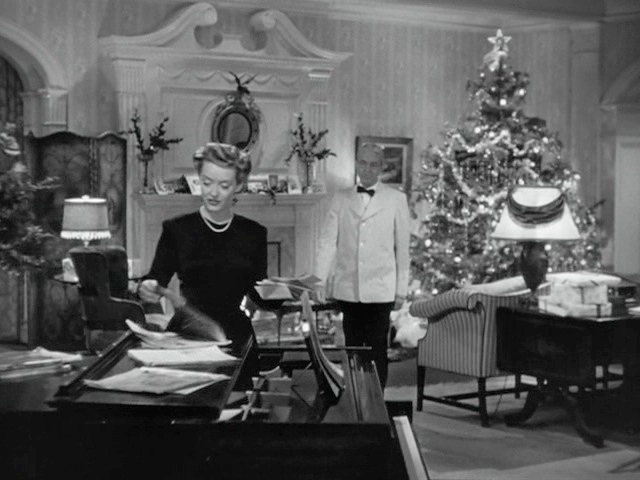 1942's The Man Who Came to Dinner has become one of the classics I watch every year around the holidays. 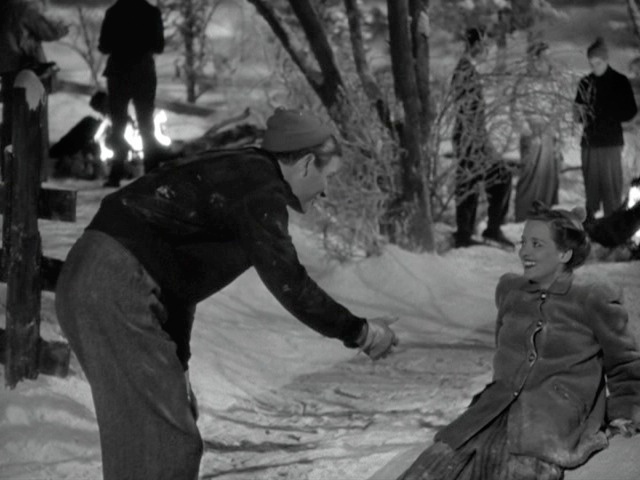 Though it's not necessarily a Christmas movie per se, it definitely has many of the elements that make for holiday fun, such as ice-skating on a frozen pond and placing presents around a beautifully decorated tree. 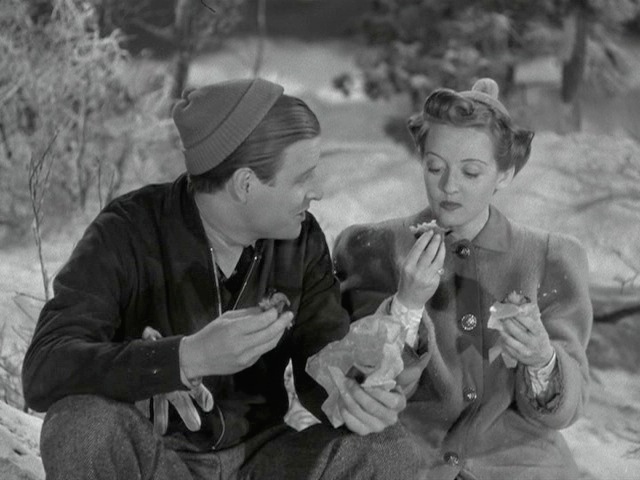 Like other Hollywood productions such as The Philadelphia Story (1940), the film's origins can be traced back to Broadway - a 1939 play written by the brilliant Moss Hart and George S. Kaufman - and in real people who were central to the worlds of both theater and film. The lead character of Sheridan Whiteside was based on none other than Alexander Woollcott - famed drama critic, essayist, playwright, and member of the Algonquin Round Table. Though notoriously difficult, he was great friends with Moss Hart. Woollcott would occasionally drop by quite unexpectedly and once, in the span of just one day, he completely turned Hart's house upside down - taking over his master bedroom, ordering his staff around, and making a general nuisance of himself. When he finally left, Hart found himself relieved that he had not chosen to stay even longer. He mentioned the theatricality of this possibility to his writing partner Kaufman and boom...a play was born. The play was a great success from the very beginning and had nearly 800 performances before its run was done. 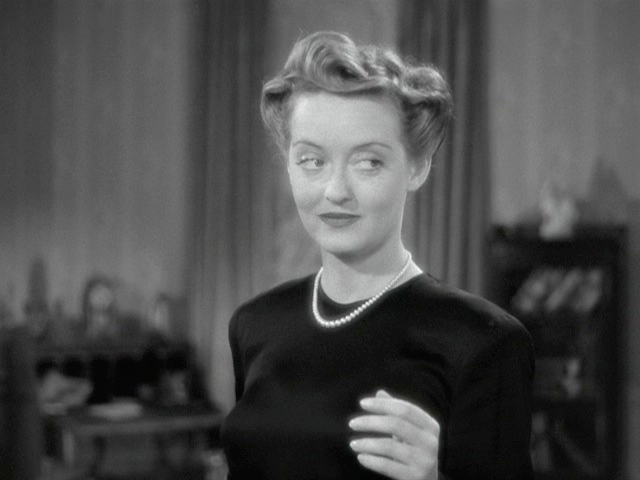 One of its audience was the great Bette Davis, who so loved it that she urged Jack Warner to buy the screen rights for herself and John Barrymore. 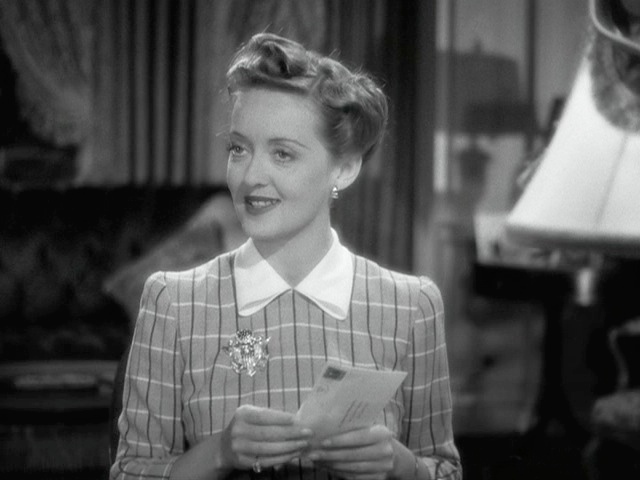 Screen tests were ordered and Bette was perfect as Maggie Cutler, Whiteside's efficient and ever-patient assistant. 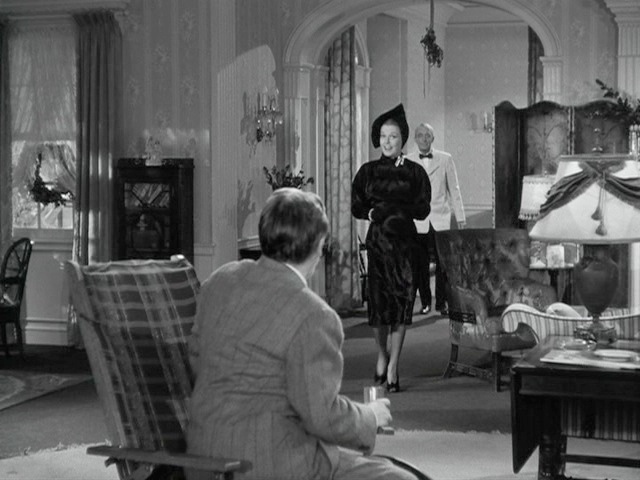 The subtle part was actually a welcome departure for the actress and her usual dramatic roles. 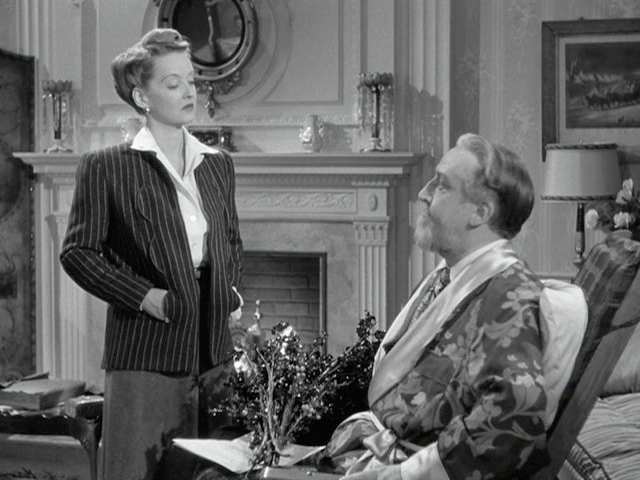 But Barrymore struggled in his tests as Sheridan Whiteside; even with cue cards, the rapid-fire dialogue was too much for the actor whose health was in decline as the result of years of drinking. 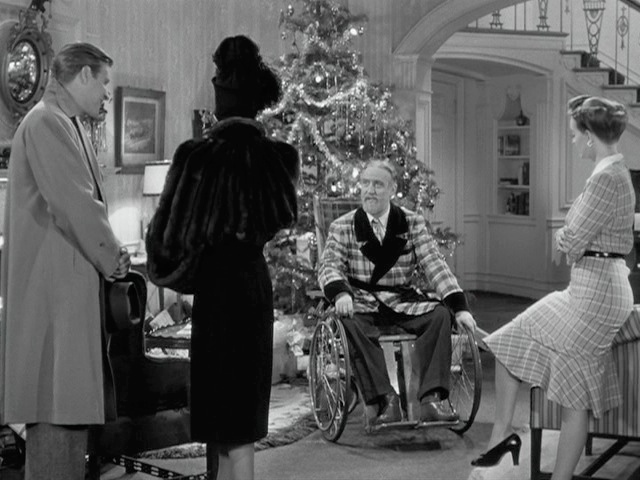 Once he was dismissed, other actors were considered - everyone from Orson Welles to Cary Grant. 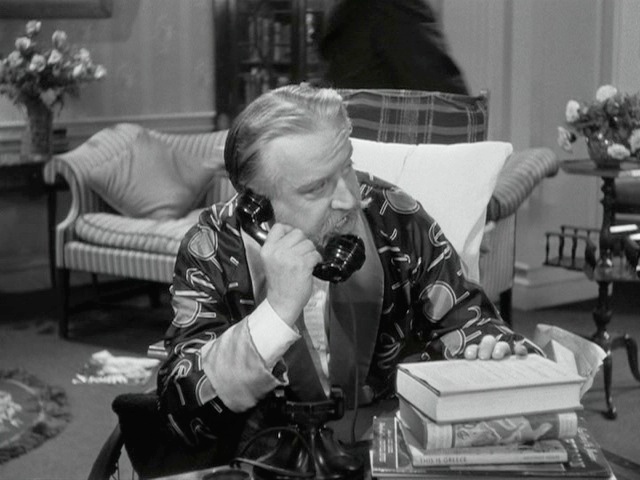 Producers finally chose Monty Woolley, the actor who had originated the part on Broadway (cast while he was still a professor at Yale). He was so brilliant in the role that he seemed to be forever typecast as that same sharp-tongued sophisticate. 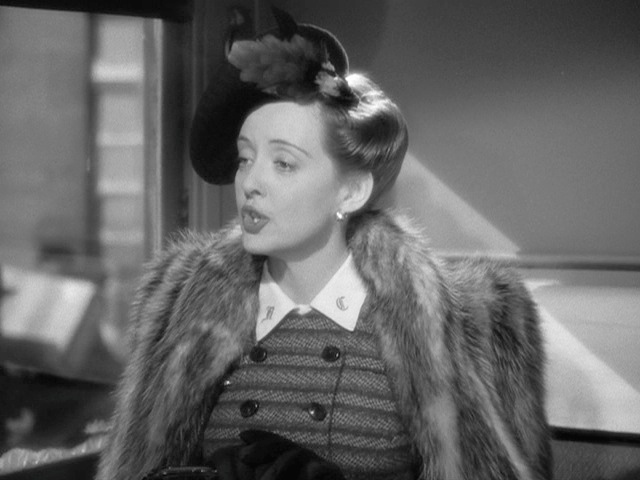 Though Bette was unhappy because she "never got over [her] disappointment in not working with the great John Barrymore," both the film and Woolley as Whiteside were an immense success. In addition to Sheridan Whiteside, the play and film are filled with even more characters who were inspired by real people. Alexander Woollcott was lifelong friends with Harpo Marx, so it is he who inspired the character of Banjo (played in the movie by Jimmy Durante). 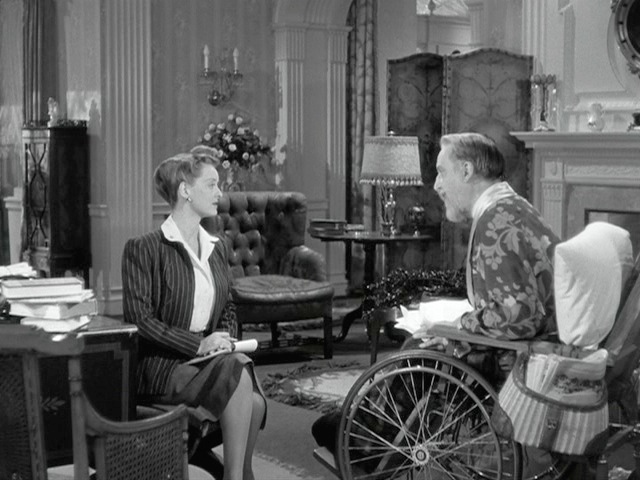 Noel Coward, another in their inner circle of artists and friends, was the basis for the character of Beverly Carlton (played by Reginald Gardiner). 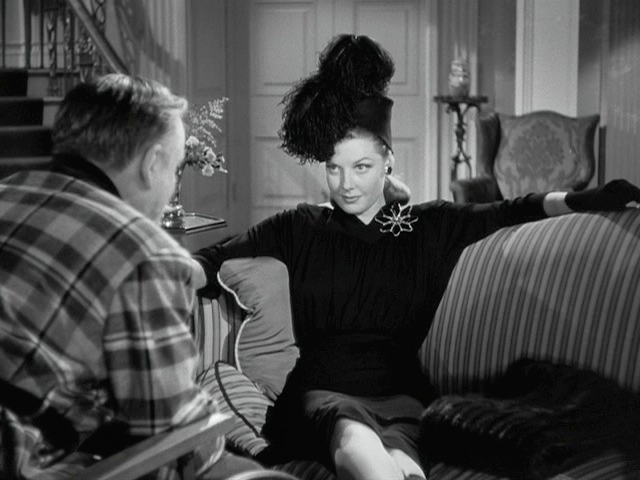 It seems only appropriate then that Lorraine Sheldon (deliciously and devilishly played in the film by Ann Sheridan) should be inspired by stage great Gertrude Lawrence, a dramatic actress who had a long and very close, though tempestuous, personal and professional relationship with Noel Coward. With these intellects as inspiration, it should come as no surprise that the dialogue throughout the film is fast and furious, and there are many cultural references that make this fiction seem more like fact, especially for audiences at the time. Phone calls come from Winston Churchill and Eleanor Roosevelt. 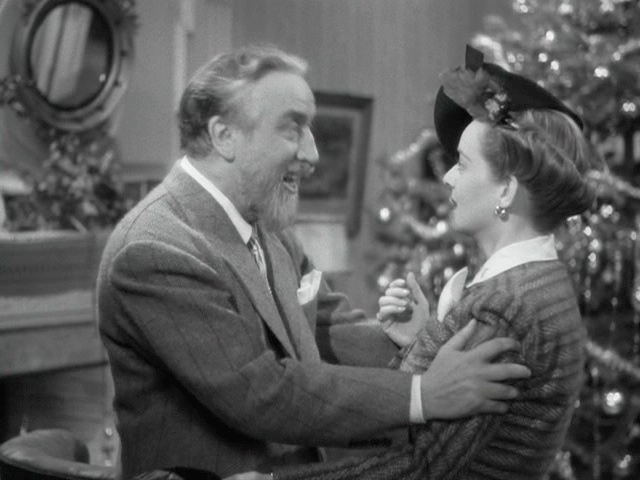 Presents around the tree come from friends and colleagues that include Deanna Durbin, Gypsy Rose Lee, and Somerset Maugham. 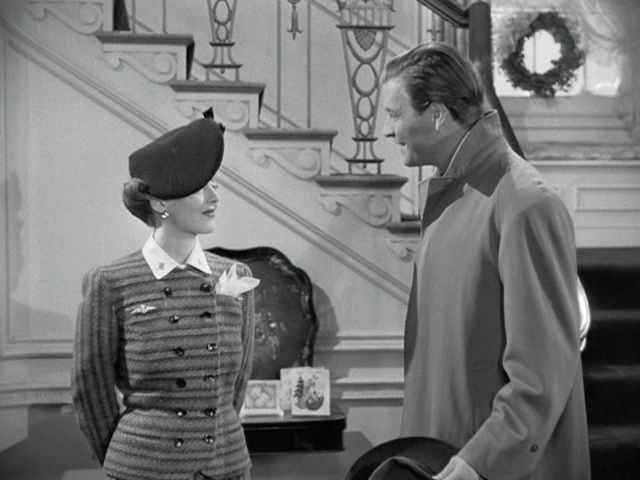 Beverly tells Sheridan a story of one of Banjo's parties where he saw Hollywood queens Norma Shearer and Claudette Colbert. 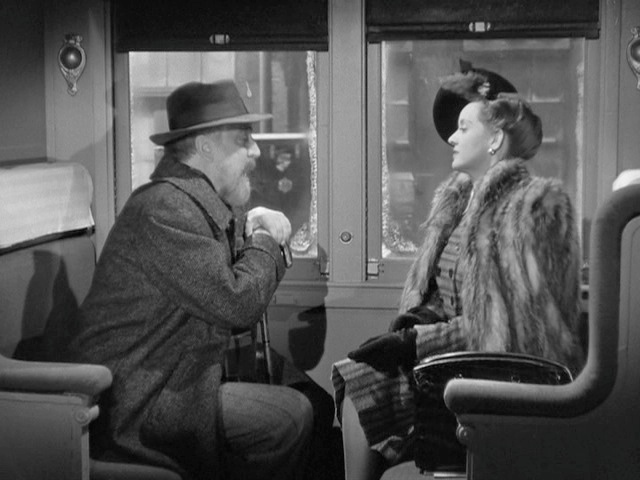 Banjo, a professed lover of blondes, brings up Lana Turner. Lorraine drops the names of Cary Grant and (then wife) heiress Barbara Hutton, who were allegedly at one of the parties she attended in Palm Beach. 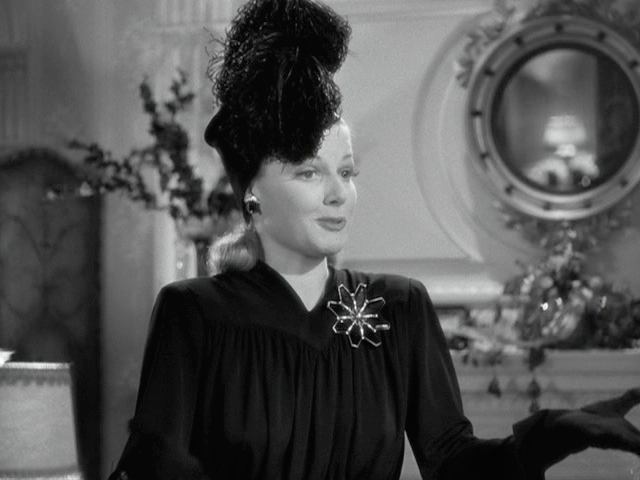 Other names that are bandied about include Ginger Rogers, Sonja Henie, Zasu Pitts, fashion designer Elsa Schiaparelli, and the Duke and Duchess of Windsor (who had only recently abdicated the throne of England). 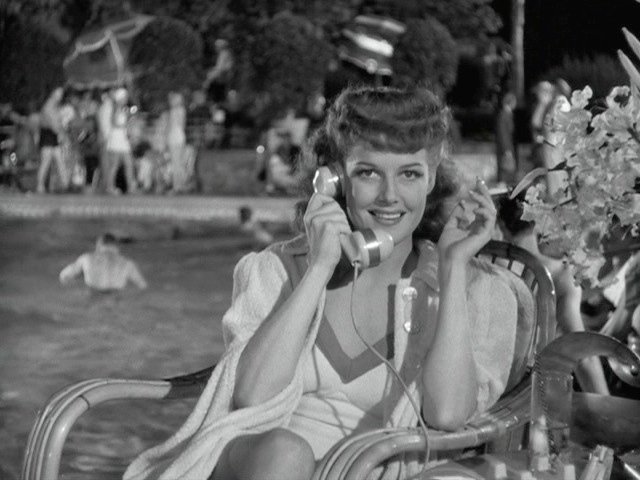 Even Ann Sheridan's own popular nickname "the Oomph Girl" is woven into the dialogue in reference to her character Lorraine. 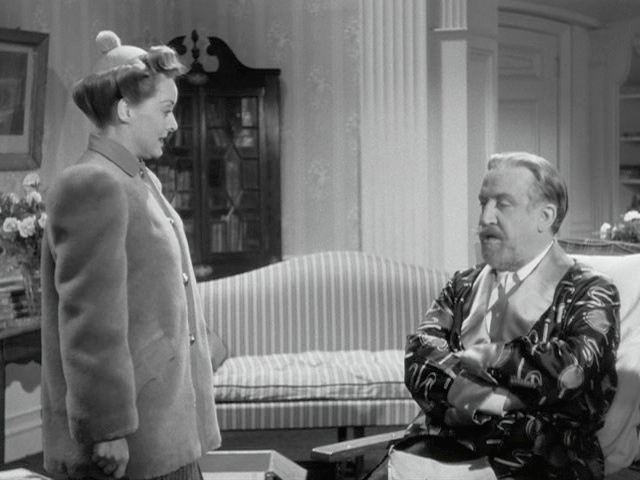 One of the things that most fascinates me about The Man Who Came to Dinner, though, is that the film was put out by Warner Brothers at the top of the same year that the studio released one of the greatest of all time - Casablanca. 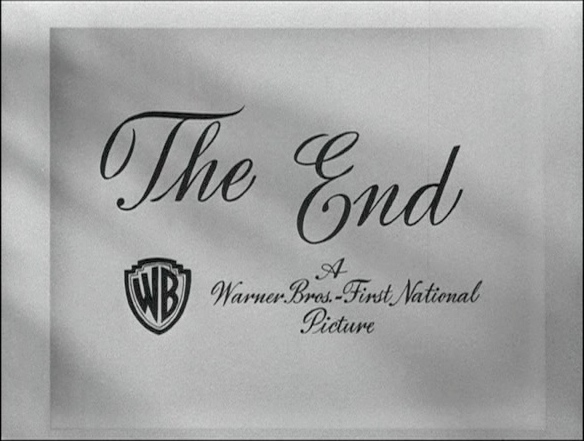 In fact, many of the team who were responsible for Casablanca were also involved in this production, including Oscar-winning screenwriters Julius J. Epstein and Philip G. Epstein as well as producer Jerry Wald (who also produced other iconic film noir such as Mildred Pierce (1945)). 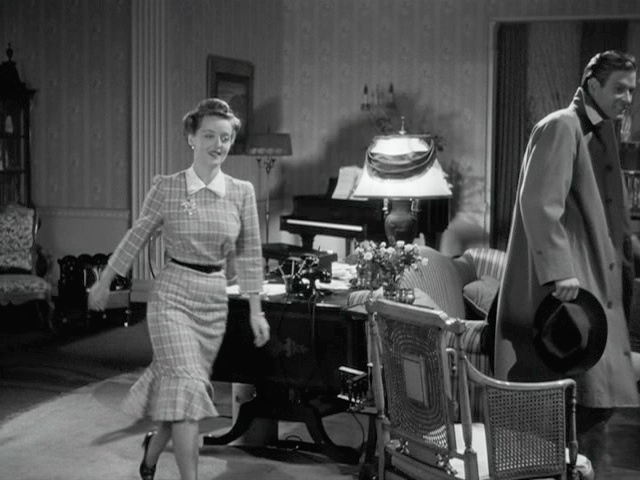 And yet another member of the Casablanca team who worked on The Man Who Came to Dinner was costume designer Orry-Kelly. 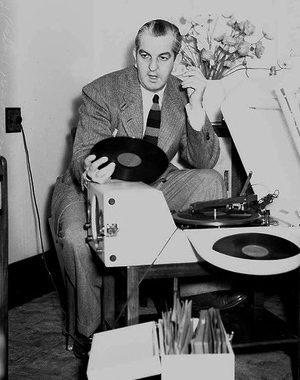 Orry-Kelly (known to his friends as "Jack") was born in Australia to a father who was a gentlemen's tailor. When he moved to New York City in 1921, he became a tailor's assistant to pay the bills. He wasn't initially interested in it as a career, though; he longed to be an actor just like his friend and then roommate Cary Grant. 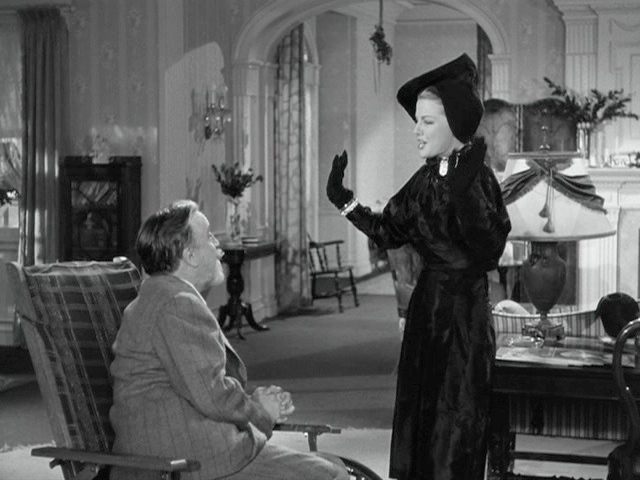 But design would be his entré to the theater and he quickly became a costume designer to Broadway stars like Ethel Barrymore and Katharine Hepburn. 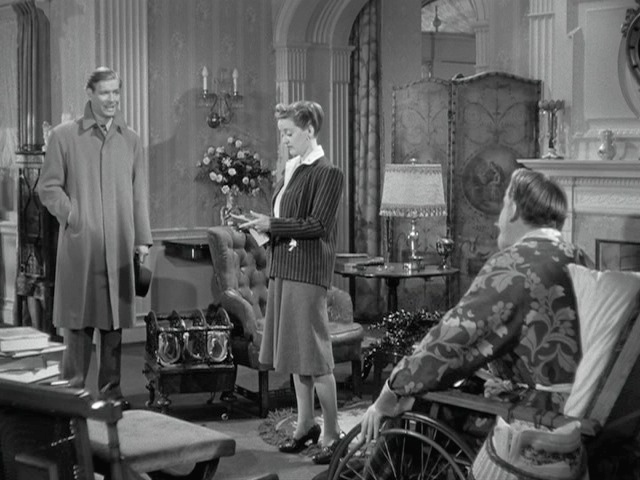 But by then, Cary had moved out to Hollywood and was starting to make a name for himself. He promptly called "Jack" in New York and tried to lure him out West saying that he was as good (if not better) than anyone already working there. 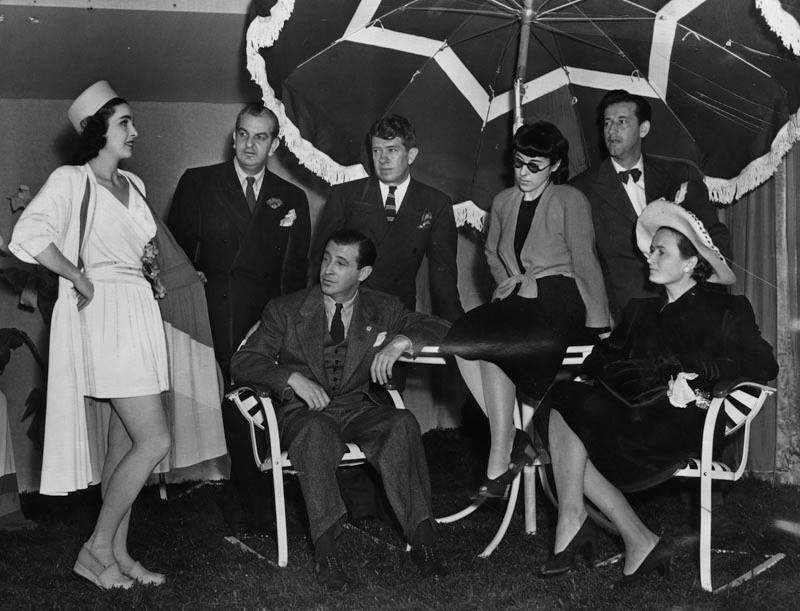 Convinced, Orry-Kelly followed his friend to Hollywood in 1932 where he became the head of costume design for Warner Brothers. 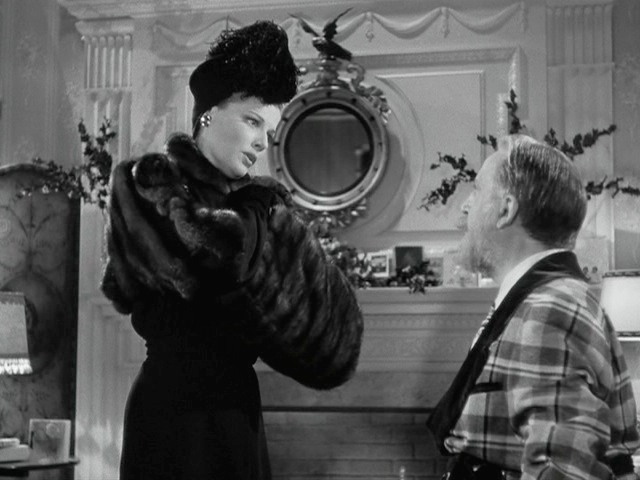 Though Orry-Kelly was one of the first freelancers among the major costume designers - he eventually worked for just about every studio, including Universal, RKO, 20th Century Fox, and even MGM - it is for his time at Warner Brothers that he is perhaps best known. 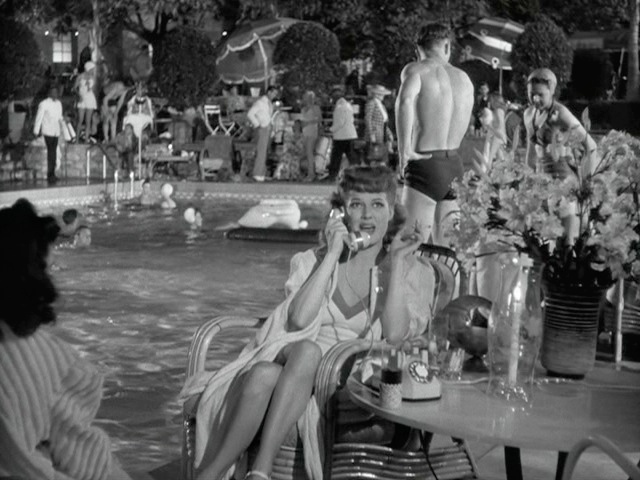 He spent 12 years there and was a contemporary to Adrian at MGM, Travis Banton at Paramount, and Vera West at Universal. 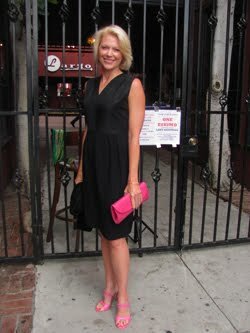 He really helped set the style of the studio along with its other talented designers Milo Anderson and Leah Rhodes. Orry-Kelly's talent is vast and one can see it in the great range of his work. 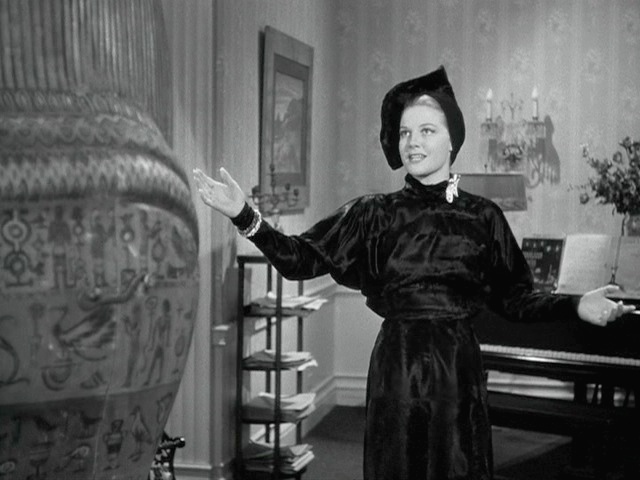 After all, one of his three Oscars came from his revealing wardrobe for Marilyn Monroe in Some Like It Hot (1959) yet his minimalist designs for Ingrid Bergman in Casablanca have also become iconic. 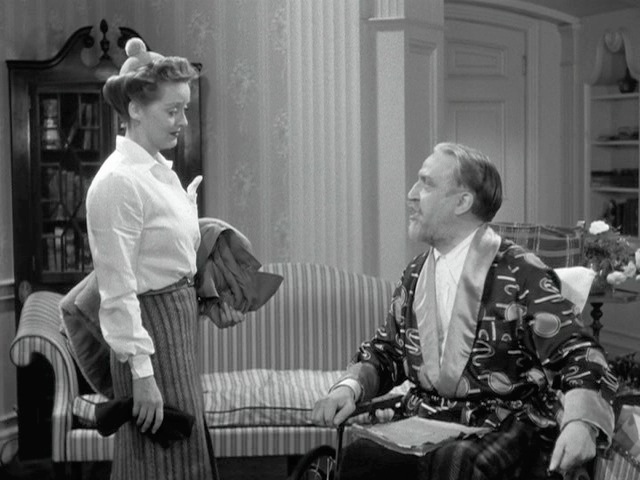 Bette Davis loved Orry-Kelly so much that she had him design for her exclusively for many years. 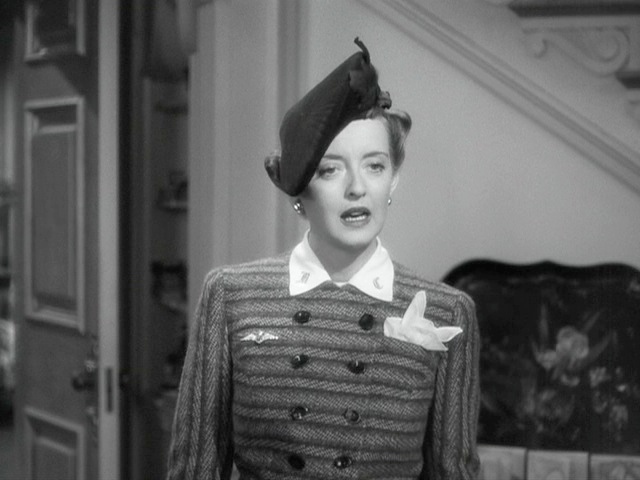 In 1942, in between designing for The Man Who Came to Dinner and Casablanca, he also created Bette's highly influential costumes for Now, Voyager. 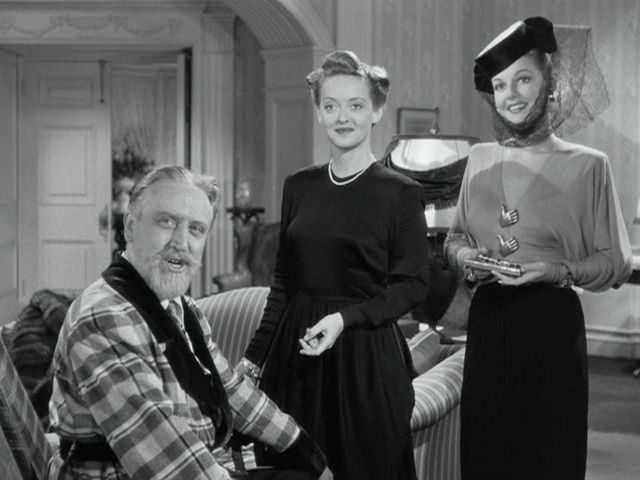 Some of Orry-Kelly's range is illustrated in The Man Who Came to Dinner in his costumes for the two leading ladies. He perfectly captured their characters in the clothes and communicates this with the audience. 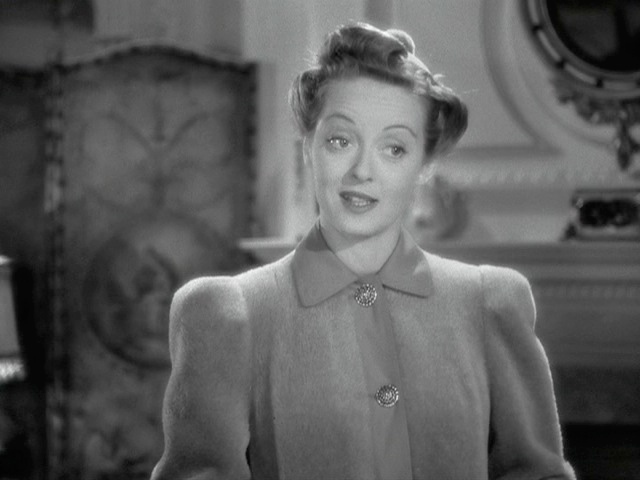 For Bette, the character of Maggie is quite literally buttoned-up in suits and separates. 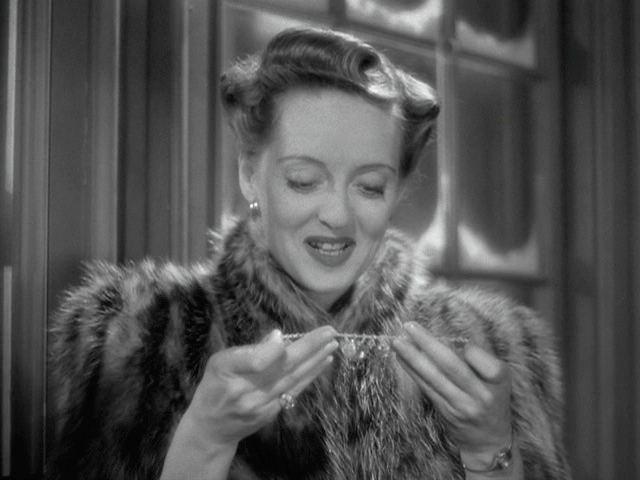 Sensible stripes are a frequent pattern for her, though her Christmas Eve dress is solid black paired with pearls and speaks of quiet elegance. All of her jewelry is kept very simple - small earrings, a delicate watch - and her beau's Christmas gift of a charm bracelet means as much to her as if it were made of diamonds. 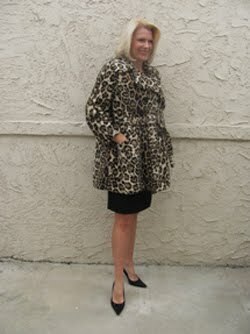 In contrast, Ann's character Lorraine is over-the-top glamour in every one of her outfits. 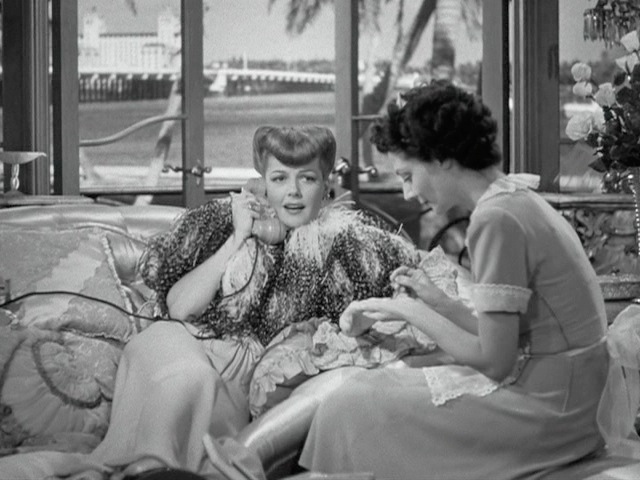 We meet her character wrapped in feathers while getting a manicure from her maid overlooking the water in Palm Beach. 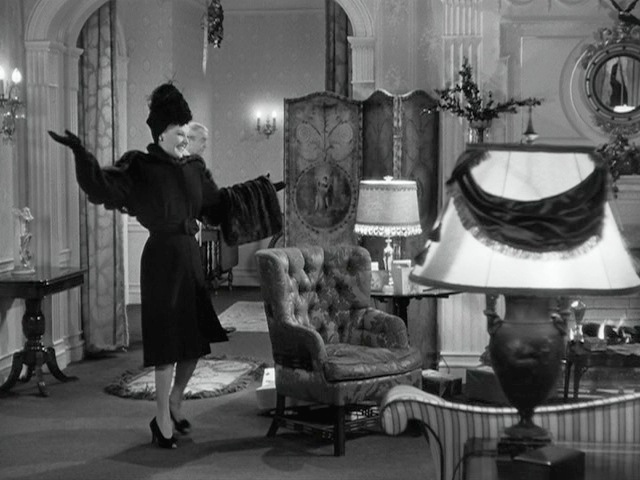 When she finally arrives in Ohio, her hat is topped in feathers, too, and she wears a fur shrug with a large luxurious fur muff for her gloved hands. 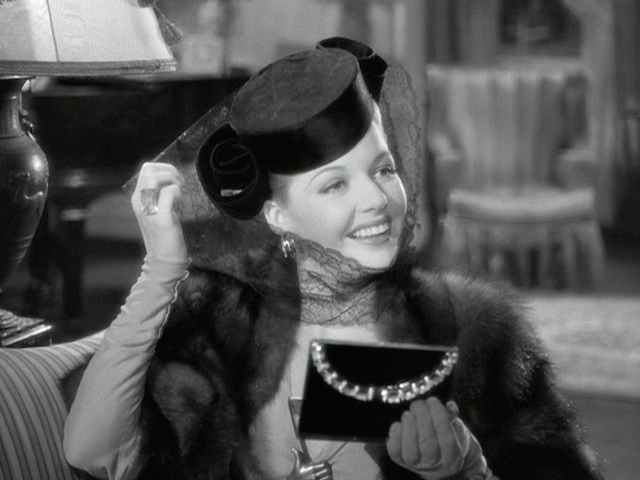 Lorraine is always adorned in jewelry and, in contrast to Maggie, the bigger the better. 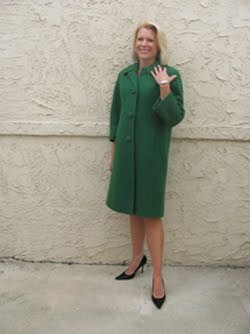 Huge brooches, bracelets, and rings accent each of her outfits. 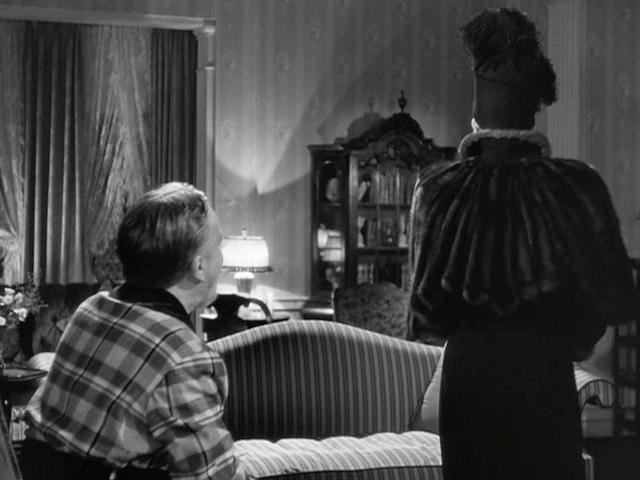 And her Christmas Eve outfit is particularly over-the-top - a gown with little hands as buttons for the blouse suggest something Schiaparelli herself might wear. 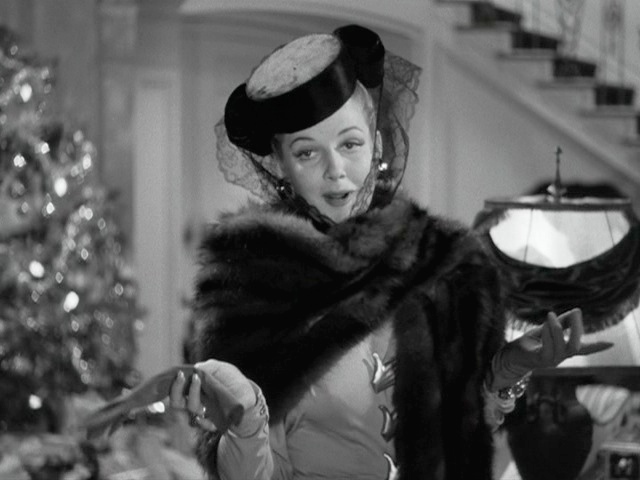 It is accessorized with a large fur wrap and a hat with a dramatic veil. 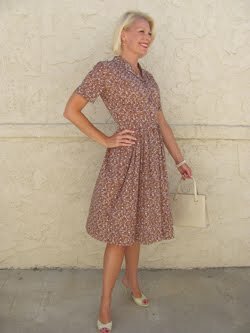 Her last outfit is all shimmering satin and once again accessorized with a brooch (worn high on the neck) and a cuff bracelet. 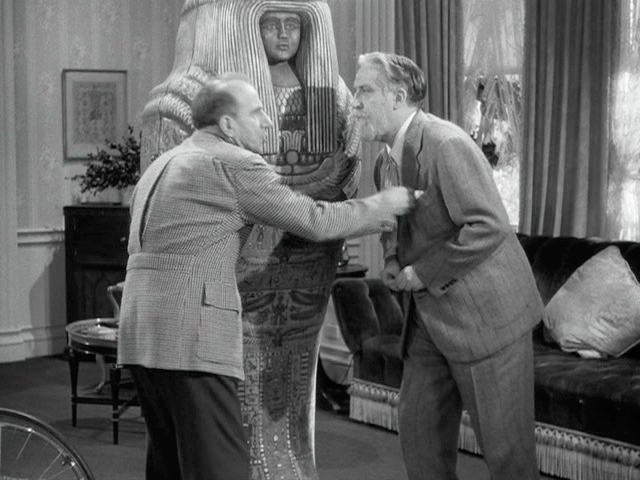 It's an ensemble that seems worthy of the queen of the Nile, which is fitting since she's soon trapped in an Egyptian sarcophagus to take her away. The entire film is done in good fun, and you might want to watch it a couple times to catch all the references and wise-cracks. 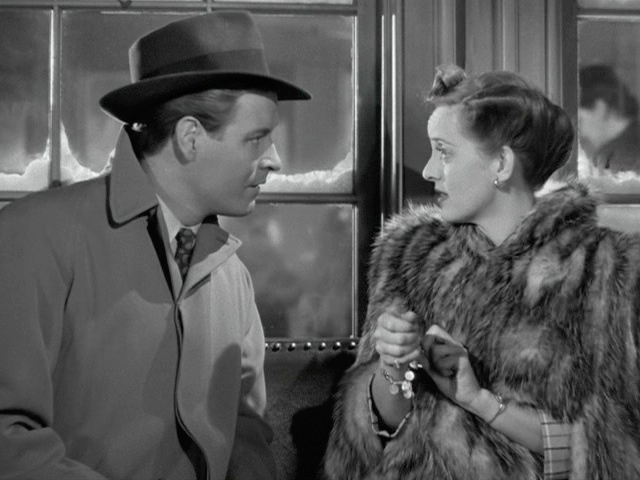 It's a tight script, beautiful production, and the costume design does a great job of telling us the distinct differences between all the men and women (including the superb supporting characters as well). 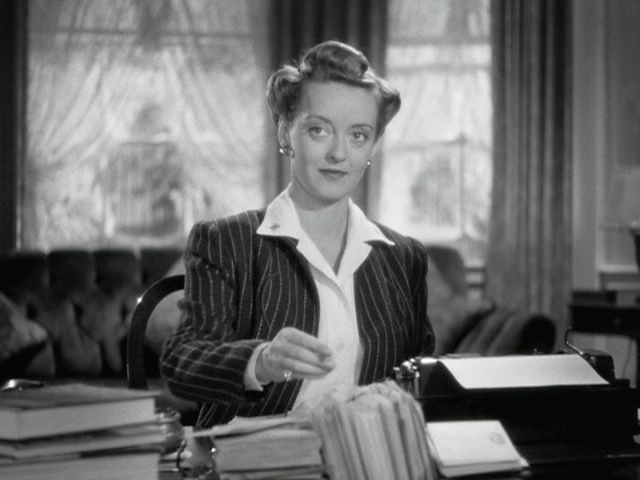 Both Bette and Ann are perfectly wonderful in their roles - Bette, quietly undramatic for a change, and Ann pushing everything to the limit. The entire cast is like one giant dysfunctional family trying to celebrate the holidays, and this may seem familiar to many who watch it. I invite you to join in the fun. Merry Christmas! 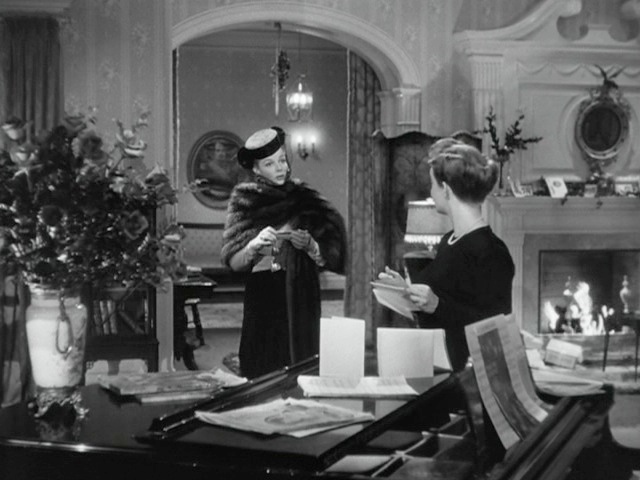 I adore the look of this film, from the wardrobe to the sets. 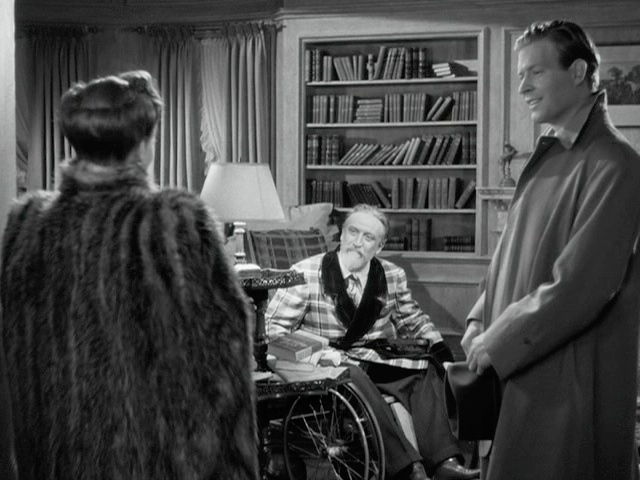 Although I find Monty Woolly can be a bit much, this film has a top-notch cast. 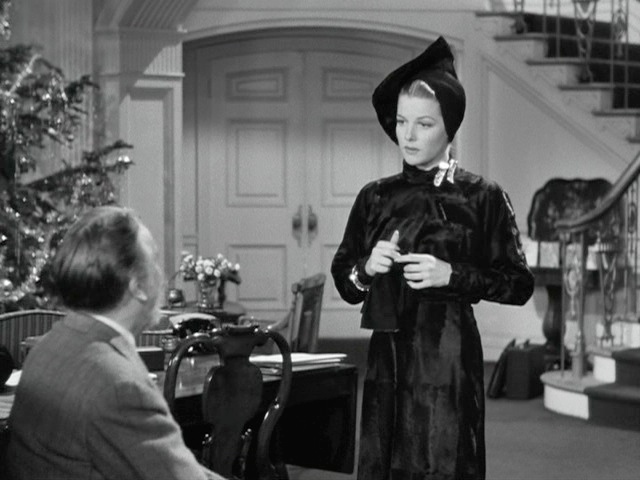 I love Ann Sheridan in this role! 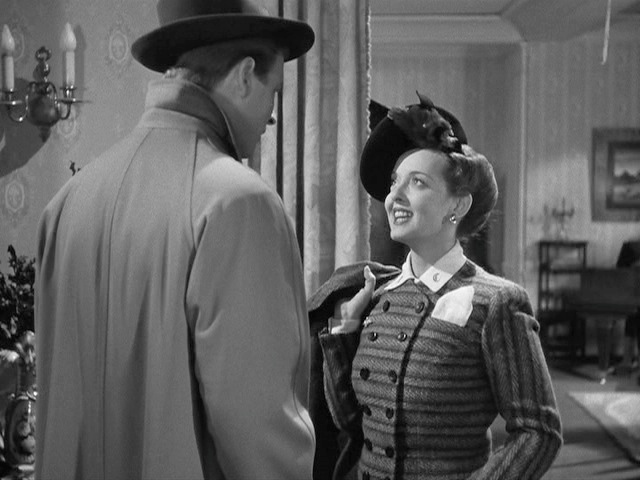 Great article Kimberly on The Man Who Came to Dinner, its costumes and designer Orry-Kelly.He was so influential as a designer for so many leading ladies of the Golden Age. So nice that LC had asked you for an essay on Gilda for their National Registry too. Merry Christmas and Happy New Year.